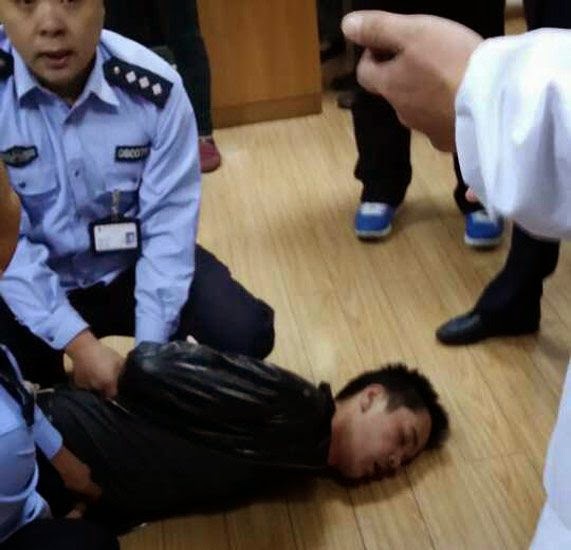 The 33-year man Lian Enqing found guilty of killing a Zhejiang doctor over failed nasal surgery has had his appeal against a death sentence turned down, but seems to have no regrets about what he did. A lengthy article in Guangming Daily portrays faults throughout the system, including sub-standard medical treatment, shoddy hospital record keeping, a flawed medical dispute resolution system and a harsh legal system that condemns a mentally ill man to death. The article includes a few words from a CCTV interview with the murderer, Lian Enqing, from which it is apparent he is delusional and convinced that his victim got what he deserved. The tragic case originated in March 2012 when the man sought medical help for a chronic sinusitis and nasal obstruction. He had ENT surgery for his problem at a Wenling hospital with surgeon Wang Yunjie, but after a few weeks it became obvious to the patient that the surgery had not relieved his problem - if anything, his symptoms became worse. He went back to the hospital and sought a review, but was not satisfied with the results of the tests. he went back many times to several different hospitals - including some in Shanghai - and underwent many investigations, including CT scans, all of which could find no explanation for his ongoing nasal symptoms and discomfort. Lian Enqing refused to believe the results of the tests and became convinced that there was a conspiracy, and that doctors were covering up their mistakes. His belief was bolstered by shoddy record keeping at the hospitals, with some hospitals giving his the wrong results or imaging scans. Lian became more angry and assaulted members of his family. In July 2013 he scrawled a message about his surgeon on his wall saying "Wang Yunjie must die". He was taken by his family to a psychiatric hospital in Shanghai and diagnosed as having depression and delusional disorder and he spent some weeks in treatment. However, his basic belief and resentment against the doctors did not change, and in October 25 2013 he went back to the hospital and attacked his surgeon Wang Yunjie with a knife, stabbing him to death and injuring other doctors. Eyewitnesses say this was no spur of the moment killing -Lian was determined, and even prevented other doctors from getting to the injured surgeon to try and save him. Journalist: Most people would believe the results of multiple repeated tests - what was your reason for not believing them? Lian: Because doctors feared being exposed. It would harm their image and their reputation to be shown to be wrong. Journalist: Do you think doctors need to create such a big and complex set of lies over one pateint and one operation? Q: But this would mean collusion on a grand scale, not just within the hospital but withing the region and even with doctors in the Fudan University Hospital in Shanghai Why would they all do that? Journalist: Because it is a stain on the medical community, a dark stain. The judge in the case said that he sympathised with Lian a little as his frustration and sense of injustice was justified because he had received sub-standard treatment and his complaint had not been handled properly. Nevertheless, nothing could excuse the extreme violent reaction to the unfortunate events that befell him, he added. Lian still did not acknowledge his crime or show any remorse. In this situation, given what he did, the court had no alternative but to follow the law and conform the death sentence, he said. and be more understanding of the patients situation.